When you install software from a CD or DVD, you pop that disc into your computer’s drive and it begins the process of walking you through an installation. What happens if you do not have a drive to run a program like that? 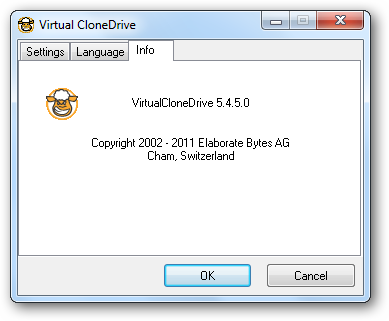 If that is the case, you can create a virtual drive on your system with Virtual CloneDrive. This virtual drive mimics how a CD/DVD drive works and allows you to use it to load discs just like a physical drive would. Since Virtual CloneDrive acts just like a CD/DVD drive and you are able to mount disc images with it. Images are the necessary files needed to load a disc in the first place, such as BIN and ISO file types. 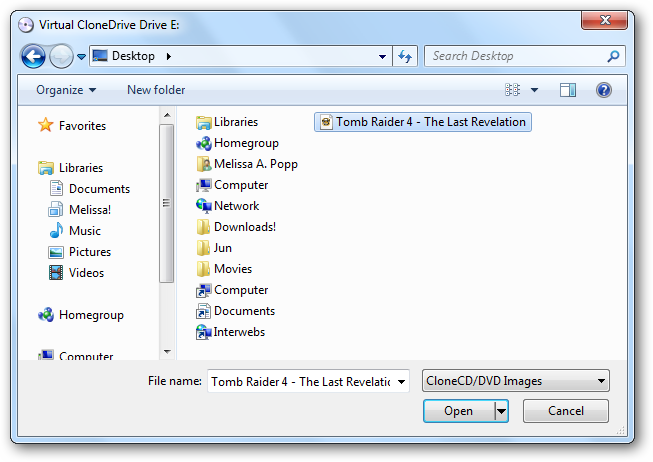 As long as you are accessing the files from your hard drive, you can mount them with Virtual CloneDrive. 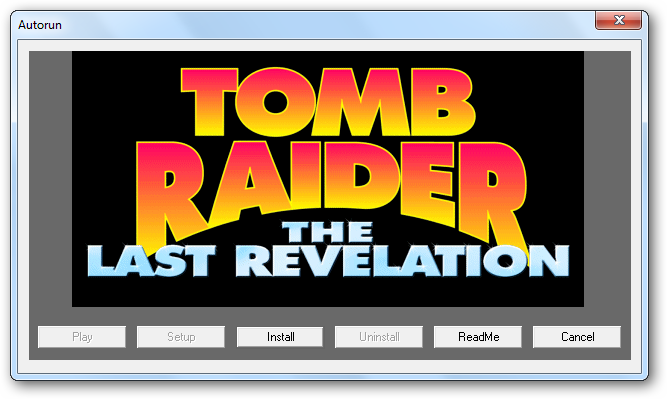 Since the software is free, it is easy to download and can be used right away once installed on Windows 7. 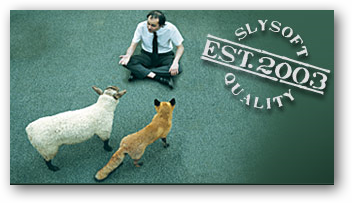 You want to visit SlySoft’s web site to download Virtual CloneDrive (download link below). Once you have downloaded it, you can begin the installation process. 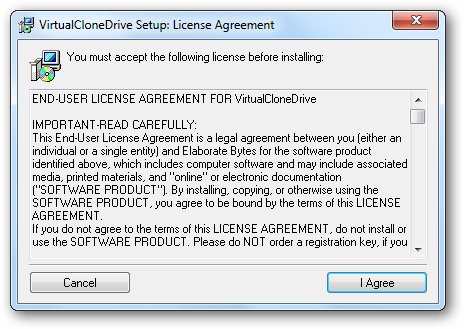 You want to read through and accept the licensing agreement for Virtual CloneDrive. Then, you want to choose which files the software will recognize by default. You want to check all options available. While ISO and BIN file types are the most recognizable images, there are lesser known files types out there you may run into. This will give you access to mount any type of image necessary. Now choose the installation directory. Just leave this field the way it is unless you want it installed in a more specific location on your hard drive. 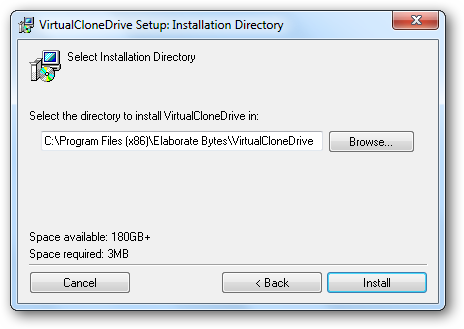 Let Virtual CloneDrive install. It should take a minute or so as long as you are not doing anything else intensive on your computer during the install. When it is finished, you can begin mounting images and taking advantage of your virtual CD/DVD drive. 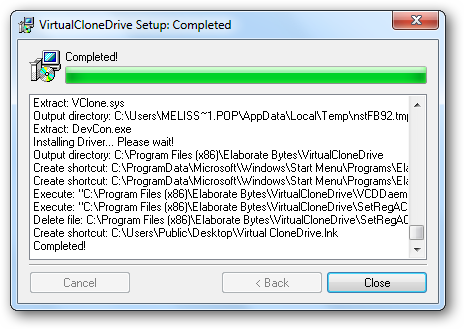 The first step is to begin tinkering with the settings to get Virtual CloneDrive working for you. You will now have access to Virtual CloneDrive on your desktop, in your programs folders via the Start Menu and by way of the taskbar. It takes a few clicks to set up the software and begin using the program. The first step is to click on Virtual CloneDrive and load the settings. You can determine how many virtual drives you want to host. For most users, one or two is enough. If you need more, you can add up to 15. Checking off the Virtual Sheep option designates the drive your computer sets up as virtual with a sheep icon. This helps you keep track which drives are virtual on your computer. You can also choose whether to automatically load the last mounted image or to keep a history of recently used mounted images. This makes it easier to access these files without having to search for them every time you want to mount one. 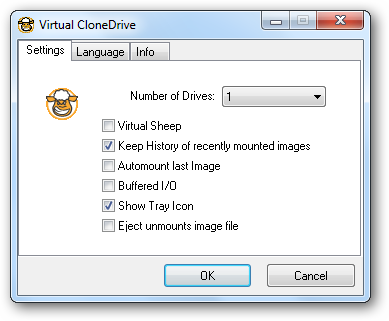 The quickest way to get to the settings and mount an image is to access Virtual CloneDrive from the taskbar. Click Show Tray Icon to make this happen. From this point on, you can access Settings, Help and begin mounting images from the tray icon. If you want to change what language Virtual CloneDrive uses, you can do this in the Language tab. By default, the language is English. If you are interested in the version information, you can look it up in the Info tab. Many software providers are allowing users to check from updates from this sort of tab. 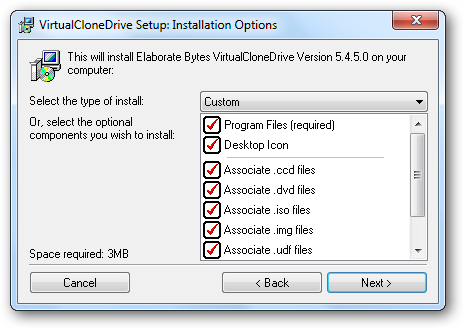 Virtual CloneDrive can only be updated by reinstalling the software by downloading the latest version from SlySoft’s web site. Now, you are ready to mount an image. I will be using my copy of Tomb Raider 4 to illustrate how to go about this. Right click the Virtual CloneDrive icon on your taskbar; this will open a small menu where you want to click Drive E: (or whatever drive Windows 7 has set up to be your virtual drive.) You will then click Mount. You will need to select the image you want to mount. In this case, I am choosing a Tomb Raider 4 ISO file. Once selected, the file will show up in your My Computers section under Devices with Removable Storage. If the image has an icon associated with it, it will show you that along with the title of the file. In this example, we have a rough image of Lara Croft accompanying the Tomb Raider title. Clicking on it will begin the loading process. From here, you install the software, watch the video or follow any other instructions it gives you. While most image files will make it easy to set-up, some may be a little more difficult than others to get working on your system. Refer to the instructions you received when downloading the image to troubleshoot any issues with an individual image file you are mounting. Conclusion – Is knowing how to mount images useful? If you own a computer that does not have a CD/DVD drive or may be working with a broken one, knowing how to mount images can make life easier. Storing large files, keeping backups of necessary software and having quicker access to important files can be accomplished by mounting images as opposed to using a drive. While there are only a handful of situations where you would really need to mount images, Virtual CloneDrive makes it easy to do without spending money out of pocket.